According to the NYT, the next confrontation between the two neighbours might not end "so calmly". 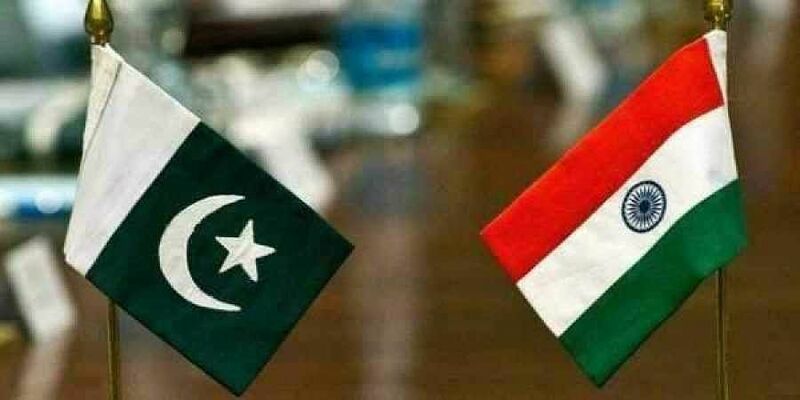 WASHINGTON: A nuclear war between India and Pakistan is "most likely" and the "relative calm" is not a solution as long as the two neighbours refuse to deal with their core dispute of Kashmir, the New York Times has said in an opinion piece. In the Thursday write-up, the daily's Editorial Board said that although the India-Pakistan tensions had diffused for now, their "nuclear arsenals mean unthinkable consequences are always possible". The board wrote that "this relative calm is not a solution" and the US needed to get involved in defusing the tensions between New Delhi and Islamabad. "As long as India and Pakistan refuse to deal with their core dispute - the future of Kashmir - they face unpredictable, possibly terrifying, consequences." According to the NYT, the next confrontation between the two neighbours might not end "so calmly." "With Pakistan's Army most likely shaken by the Indian raid and unwilling to slide into protracted conflict, Prime Minister Imran Khan returned the pilot to India, in what was seen as a goodwill gesture, called for talks and promised an investigation into the bombing. (Prime Minister Narendra) Modi took the opportunity to back off further escalation", it said. "The next confrontation might not end so calmly," it added. Tensions between India and Pakistan worsened after a Kashmir suicide bombing on February 14 killed 40 CRPF troopers and was claimed by the Pakistan-based Jaish-e-Mohammed (JeM). India retaliated by bombing the terror group's biggest training camp in Balakot, Pakistan. Pakistan hit back with its air force the next day. Islamabad also captured an Indian Air Force pilot after a February 27 dogfight between the two air forces. He was released on March 1 as a "peace gesture" by Pakistan. The NYT said the US "could help India strengthen its counterterrorism capabilities to prevent future attacks and it could encourage India to modify its approach to those opposing its rule in Kashmir, which the UN and other groups say involves widespread human rights abuses. "And while it's good when India and Pakistan decide to walk back from the brink, as they seem to be doing now, the US should be ready to assist if they cannot." The article stated that Islamabad and New Delhi were "long among the world's most antagonistic neighbours" and that it was fortunate they found "the good sense to de-escalate". The NYT stated: "The JeM, which seeks independence for Kashmir or its merger with Pakistan, took responsibility (for the Kashmir bombing). While it is on America's list of terrorist organisations and is formally banned in Pakistan, the group has been protected and armed by the Pakistani intelligence service." The NYT said that the situation between India and Pakistan "could have easily escalated, given that the two countries have fought three wars over 70 years, maintain a near-constant state of military readiness along their border and have little formal government-to-government dialogue. "Adding to the volatility, India's Prime Minister Narendra Modi is waging a tough re-election campaign in which he has used anti-Pakistan talk to fuel Hindu nationalism," it said. The daily said that Pakistan "has never seriously cracked down on militant groups that attack India and the Indian-controlled part of Kashmir. "In recent days, Pakistani authorities said they detained 44 members of various armed groups, including a brother of Masood Azhar, the head of JeM, and planned to seize assets of militants on the UN terrorist list. But Pakistan has rarely followed through on such promises." The NYT said that without international pressure, a long-term solution was "unlikely and the threat of nuclear war remained". "While the Clinton, Bush and Obama administrations aggressively worked to ensure that India-Pakistan confrontations in 1999, 2002 and 2008 did not spiral out of control, the (Donald) Trump administration has done little but issue a few statements urging restraint. "It's hard to see a role as a mediator for Trump, who has shifted the US more firmly against Pakistan and towards India, where he has pursued business interests. "A solution to a conflict that touches so many religious and nationalist nerves must ultimately come from within, through talks among India, Pakistan and the people of Kashmir," it said.